With no relief in sight for rising home prices due to low inventory, the longer you wait to purchase a home, the more it will cost you to buy one if you wait. Most experts predict that rates will rise over the next 12 months. The Mortgage Bankers Association, Fannie Mae, Freddie Mac, and the National Association of Realtors are in unison, projecting rates will increase by this time next year. 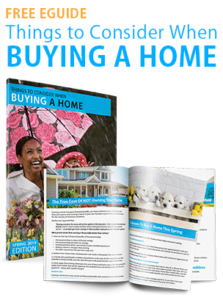 An increase in rates will impact your carrying cost for a new home if you wait to buy. 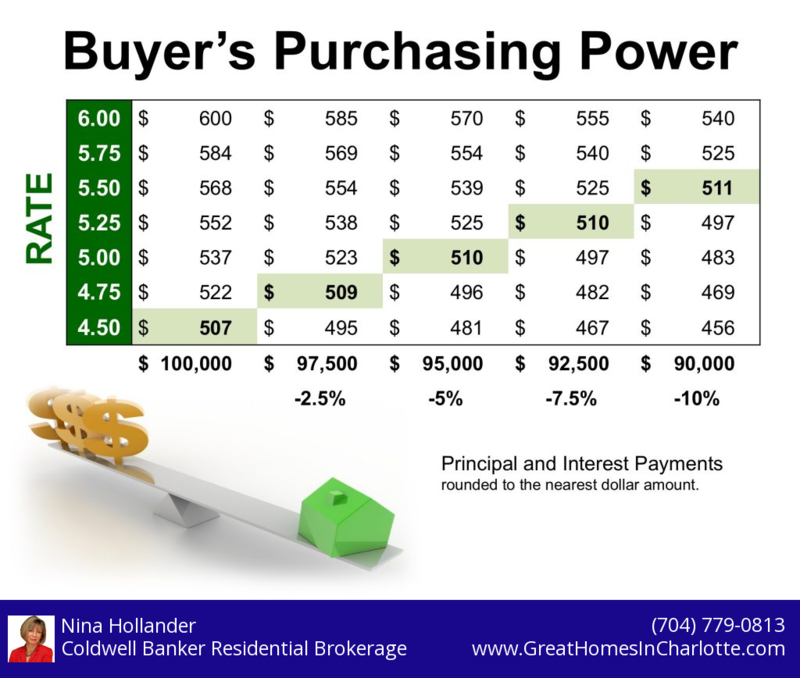 Coupled with the steady home price increases your cost to buy and own a home will increase and your purchasing power diminishes. 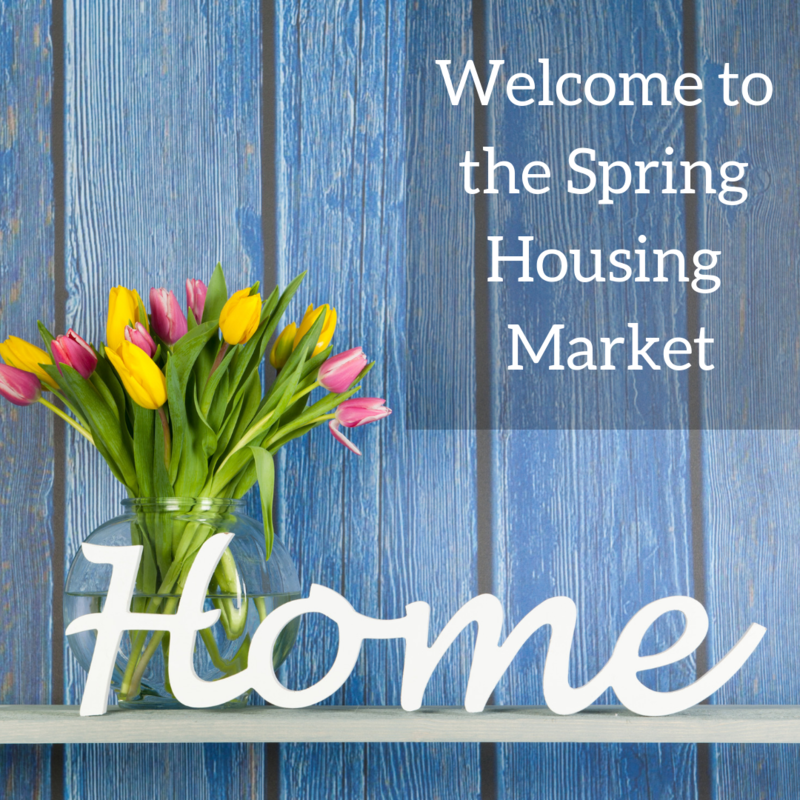 Either Way, You Are Paying a Mortgage… Why Not Build Your Equity & Wealth Instead? Often renters say they are uncomfortable taking on the obligation of a mortgage. Everyone should realize that unless you are living with your parents rent-free, you are paying way you are paying a mortgage – either yours or your landlord’s. As a home owner, your mortgage payment is a form of ‘forced savings’ allowing you to build equity in your home that you can tap into later in life. As a renter, your landlord is the person with that equity. 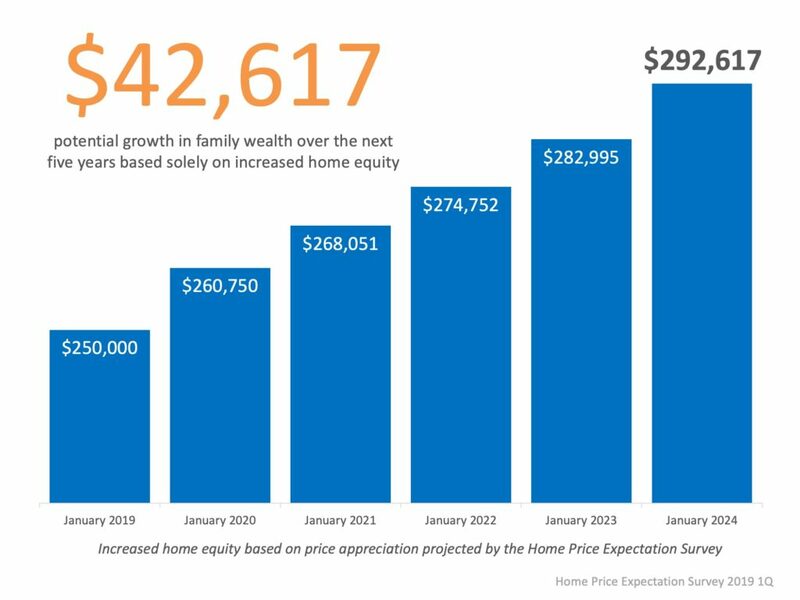 The graph below clearly shows the potential growth in family wealth over the next five based solely based on an incerase in a home’s equity. And clearly, the higher-priced a home is, the greater the increase relative equity. Have you considered what your cost of renting is versus buying a home? The video below clearly shows that your cost of housing is less when you buy in many markets and you also get to fix your housing costs for years, which you can’t do with rent.